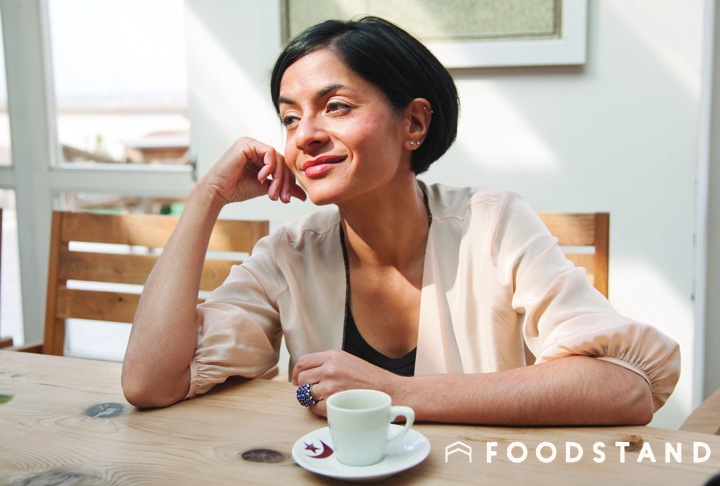 Simran Sethi is a journalist and educator focused on food, sustainability and social change. Her latest book, Bread, Wine, Chocolate: The Slow Loss of Foods We Love, is a story of changes in food and agriculture told through bread, wine, chocolate, coffee and beer. And her expertise in food and agriculture goes far beyond. She has many accolades, including being named the environmental “messenger” by Vanity Fair, one of the top eight women saving the planet by Marie Claire, and a top 10 eco-hero of the planet by the U.K.’s Independent. She was the environmental correspondent for NBC News, and has been featured on The History Channel and NPR. She has also written for the Huffington Post, Mother Earth News, Oprah.com and The Guggenheim Museum. And spoken at the James Beard Foundation Food Conference, TEDxCibeles, and more! Simran is one impressive and busy woman! Tell us what you’re working on right now. I’m working on a piece on the definition of craft chocolate and how consumers can be empowered to truly understand and source the chocolate they love. And I’m doing research for an upcoming book proposal on yeast. Microbes are magic! I don’t view any effort at cooking as a mistake. I typically don’t use recipes. If it tastes weird, I fix it. Food that has been grown and prepared by people who have been treated well and paid a fair wage, coming from land that has been sustainably managed. And cooked by people who are also treated equitably and love what they do. Delicious food isn’t delicious if people or natural resources are harmed in the process. Milk, eggs, seasonal fruits and vegetables. Farmers’ markets, independent grocers like Let It Grow Produce in Winston-Salem, North Carolina. In short, places that value the origins of food and are proud to share where the food came from. That global and domestic policies around food and farming reflected and emphasized the centrality of smallholder farmers (who feed over half the world), the need for biodiversity and the importance of indigenous cultivation and culinary traditions. Michelle Obama at the White House. Food issues have not quite made it into the presidential debates. If you could ask the future President to consider a food issue that needs to be addressed, what would it be? There should be a lot more scrutiny around the Trans-Pacific Partnership and implications for domestic farmers, preservation of heirloom seeds and transparency around what consumers know about their food sources. If you were a food, what you be and why? Pomegranate. It’s tart and sweet, and you have to work to get to the good stuff. Stop supersizing everything. Let’s recognize how precious food is and stop wasting 40 percent of it (here in the U.S.). I indulge in anything I want; chocolate tops the list. If you had to make (or are making) a food resolution this year, what would it be? Eat better chocolate, drink better coffee, learn how to bake bread. Cooking up lots of cool events. Book readings/signings coupled with beer, wine, coffee, chocolate and bread tastings that bring the book to life. Details here.